Azurite is a soft copper mineral produced by weathering of copper ore deposits. It owes its name to its beautiful azure-blue colour, which makes it a very popular and well-known mineral. It has been used by people in many parts of the world for thousands of years as an ore of copper, as a pigment, as a gemstone, and as an ornamental stone. The colour of azurite also reminds the deep blue colours of the French Côte d’Azur and all the wonderful scents that blow all over this unique region of France. 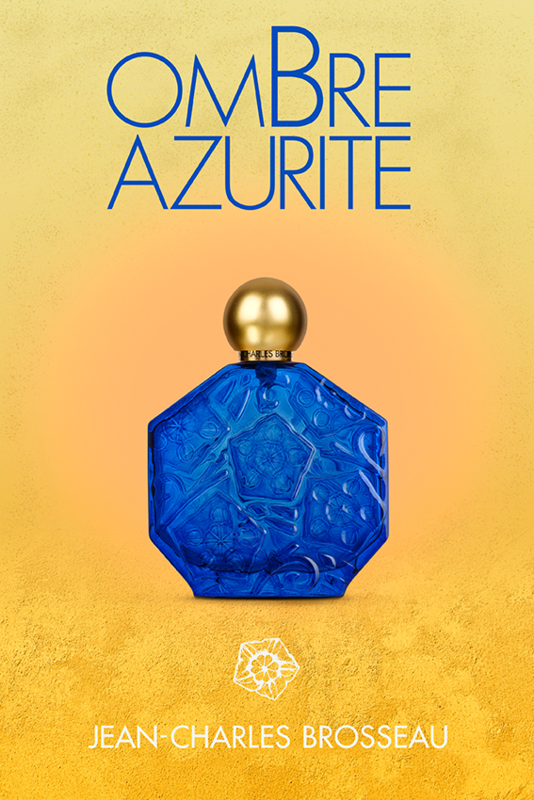 Created in collaboration with perfumer Thomas Fontaine, Ombre Azurite is a floral, ozonic and green fragrance. Ombre Azurite produces the same sunny floral aroma as do the gentle trade winds blowing along the rocky coast of the Côte d'Azur. The notes of jasmine and lily perfectly convey a marine sense that blends beautifully with the spicy iodine of the Mediterranean Sea. The sensuality of mixing sandalwood with tonka bean caresses the skin like the warmth of the mid-day sun. The fragrance « Thé Poudré » is faithful to the values and the philosophy of the brand Jean-Charles Brosseau; it fits perfectly with the « Fleurs d’Ombre » collection. This Eau de Parfum reminds through its powdery and floral notes an important part of the olfactory identity of the past and present success stories of the House. 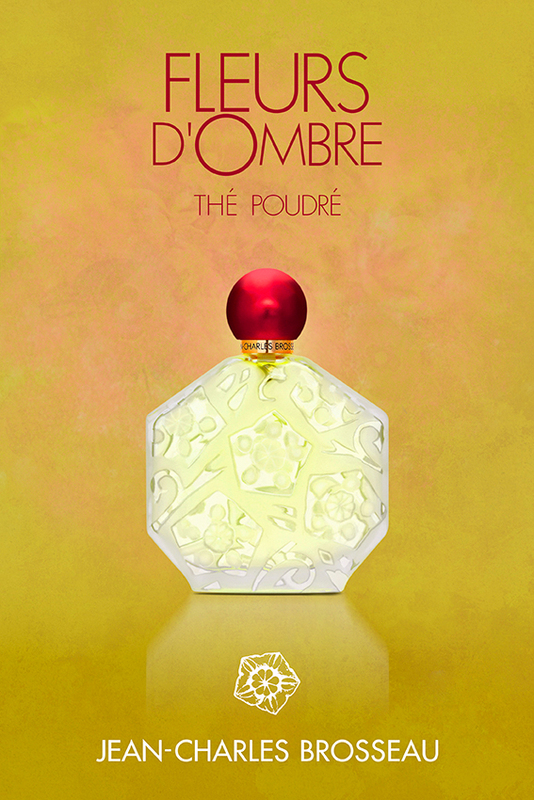 « Thé Poudré » is a journey full of softness and delight between East and West. The tea notes coming from the mountains of Darjeeling bring exoticness, reinforced by Indian carnation, which blends to the freshness of Calabria’s bergamot and the elegance of Tuscany’s orris. Virginia’s cedar and Mysore’s sandalwood bring all the richness of their respective worlds, and last but not least, white muscs, bringing heat from their sensuality to complete this whole epic. Ombre Rubis being delicate and special is worn as a piece of smart finery, an original jewel, which can accompany you at any time: day or night. 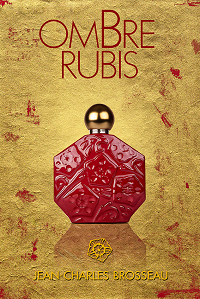 Ombre Rubis was created in collaboration with perfumer Thomas Fontaine; recalling the nicest of many floral fragrances. While being very contemporary and beyond – it has an unexpected mix of styles, but at the same time they are pure and alluring, through this amazing assemblage of a citrus bergamot start blending with the rhubarb and mimosa. The virginal orange blossom, the water jasmine and violet leaves almost complete this glimmering composition, which ultimately lead on to the almost edible softness of Madagascar vanilla, cedar, coconut – here we have a truly wonderful floral oriental fragrance! Ombre Rubis is a floral oriental with a citrus bergamot start, which becomes crispy through ligneousrhubarb and powdery mimosa. Then the heart "takes off" through a bouquet of virginal orange blossom, water jasmine and violet leaves. And finally the sweet and smooth base of white musks and cedar wood are delicately orientalised with Madagascan vanilla and styrax. The new "Fleurs d'Ombre" fragrance concocted in 2013 by Thomas Fontaine is the olfactory evocation of a Monet painting all in spring flowers with enriched pastel tones. 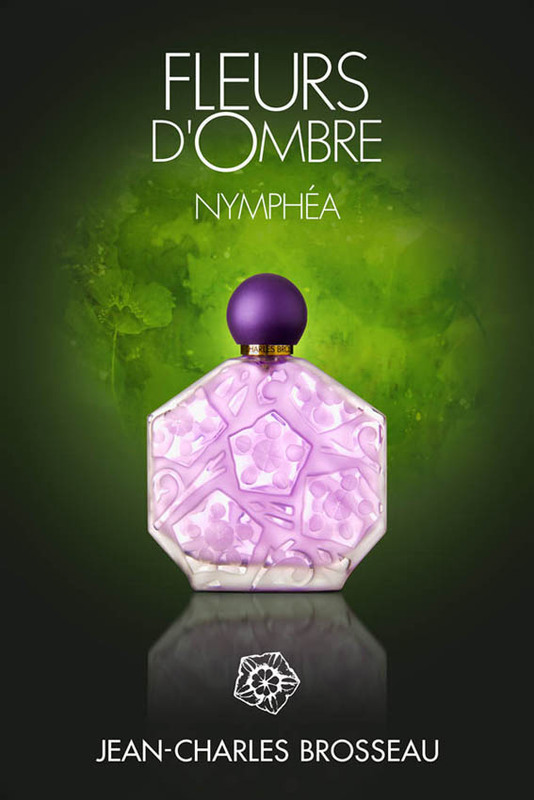 Composition of "Fleurs d'Ombre / Nymphéa"
The fruity bergamot, pink pepper start charms us immediately, followed in heart by glycine which, by its spicy note, blends to water lily and jasmine in order to glorify all its florality and sensuality. In bottom notes, sandalwood, raspberry and white musks are making a very harmonious complement. It's a floral fragrance, very subtle and pleasant. Olfactory family: floral, spicy, green, fruity. The packaging is in the tradition of "Fleurs d'Ombre", classic and understated, with a glycine-colored bottom, printed with the traditional logo of "Fleurs d'Ombre" in green letters, as the rest of the texts. The stylized amaryllis flower present on the Brosseau bottles is also represented on the facing of the packaging. The juice contained in the octagonal Brosseau bottle is of a pale and luminous glycine-mauve tone. It is covered with a violet spherical cap. 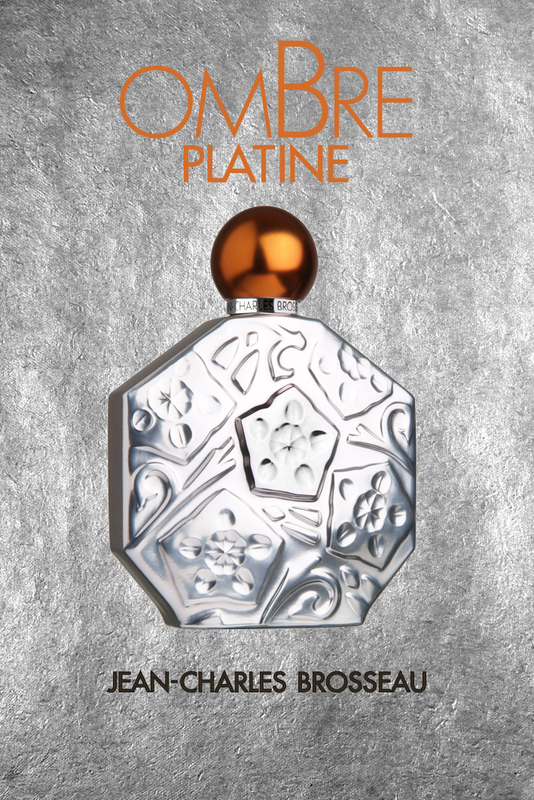 Launched in 2011, "Ombre Platine" is characterized by its very successful notes in the "floral oriental" category. Lily, tuberose, sandalwood and pink pepper appropriate the initial tempo of this flight of fancy magically mastering bergamot, coconut and vanilla. This "Ombre" ("shadow") is shining and radiant from its start. 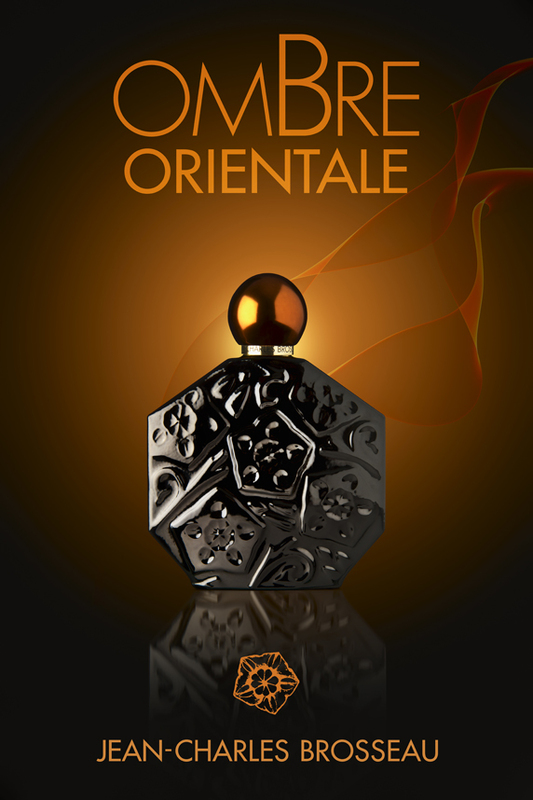 "Oriental", yes, but with powdery accents (like most of Brosseau perfumes), which confirms its membership. "Ombre Platine" is liken to wearing a rare jewel that knows have to embellish without being defined - it's simply classy. The composition of “Ombre Platine” makes it a floral oriental, fruity and powdery fragrance. The top notes - the freshness of bergamot and blackcurrant find their echo in the carnal sparkle of a rose and a fruity green apple. We then have the heart notes of the lily, accompanied with hot notes of coconut and milk, which blend with the voluptuous notes of Damascus rose and plum. And finally we have the base of precious sandalwood and cedar wood, which are softened by Peru balm and vanilla. Olfactory family: oriental floral, fruity, powdery. It is dignified, but vivid : the bottle is presented in a mat silver carton with the traditional 5 petal-flower pattern engraved on it ; the texts and logos are printed in a mandarin tone. The octagonal bottle, which identifies all products in the brand has been metallized in silver-platinum. The spherical cap on the bottle is made in a classy copper-coloured tone. 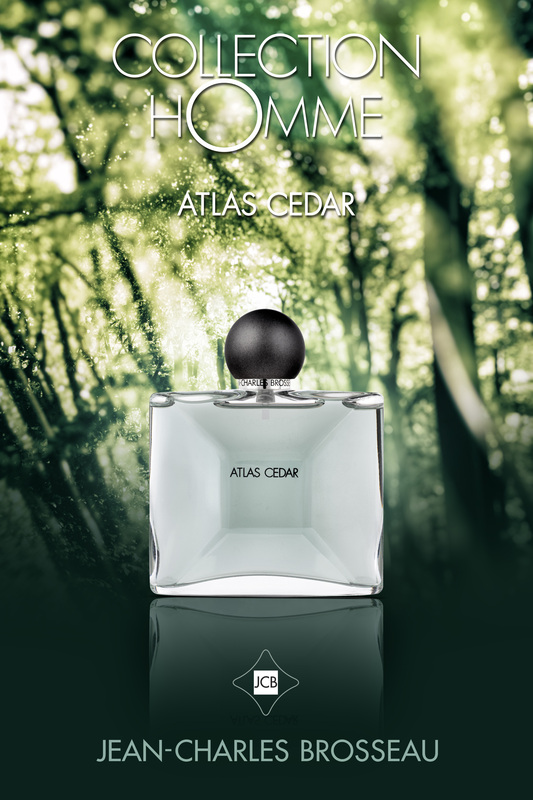 Created in 2011, “Bois d’Orient” is announcing itself as a product with exotic tendency, but of international class. 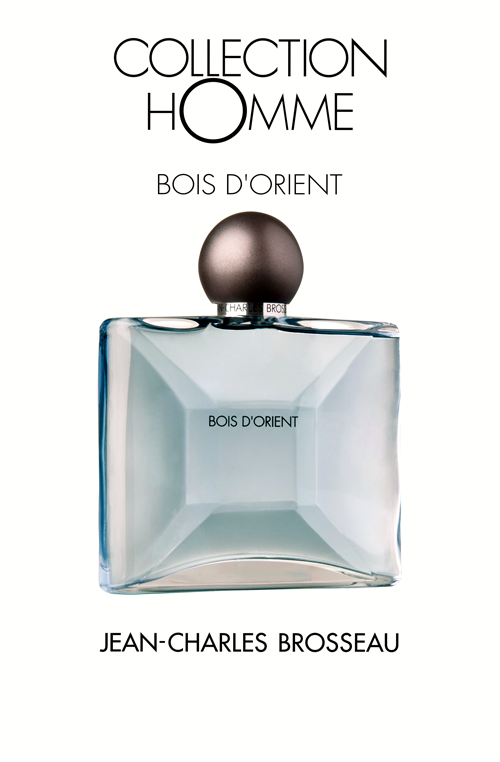 Under the name of “Bois d'Orient” (“oriental wood”) is hiding a very modern olfactory novelty since its perfectly associated components are forming a scent at one and the same time rich, fruity, woody, spicy and amber. The cocktail of the magnificent products that constitute this fragrance, selected and proportioned with a permanent care of perfectionism and seduction, is of a rarity of which one can be proud. The obviousness of the choice of composition is the proof of a real quality – the one of pleasing – and is positioning us in the category of the unforgettable French fragrances : “Bois d'Orient” is French and from those of which one does not grow tired. The citrus beginning is a refreshing cocktail of lemon and mandarin accompanied by the bite of spearmint and juniper berries. Then comes Mediterranean fig blowing hot and cold with oriental cinnamon and juicy raspberries. Cedarwood and sandalwood drowning into white musk's and with the cistus and praline provide a meaning of comfortable sensuality. Olfactory family: spicy, fruity, woody, amber. Its bottle, already well-known since it is part of the line of eau de toilette from the brand, is transparent and allows to see the colour of the product, which is made of a nice blue tone, and its spherical cap is in a dark grey tone.